Vice president Jejomar Binay recently left his party of 30 years, the Partido ng Demokratikong Pilipino-Lakas ng Bayan (PDP-Laban), to form a new party in preparation for his run at the 2016 presidential elections. VP Binay was a member of the Laban (Laban ng Bayan) Party when it was headed by former senator Benigno Aquino. The Laban Party joined forces with the Partido Demokratiko ng Pilipinas (PDP) in 1986, and has enjoyed significant electoral success – winning the presidency under Corazon Aquino in 1986 – as well as lacklustre performance – in the last 2013 elections, it won one seat in the Senate and 2 of the 231 seats in the House. With VP Binay’s departure from the PDP-Laban, the party has announced that it will leave the main opposition coalition, the United Nationalist Alliance (UNA). The UNA was an electoral alliance formed in part with VP Binay’s support as national chair of PDP-Laban. However, PDP-Laban President Senator Aquilino Pimentel III was opposed to the coalition and did not run under the UNA banner for his senatorial seat but, instead, under the administration’s Team PNoy, which he successfully secured. The situation with the PDP-Laban and the UNA underscores changeability in political parties in the Philippines and renews the question: how does this changeability affect presidential power and policy performance in the country? The answer – discussed at greater length below – is not hopeful: the changeability undermines programmatic political development and fails to displace personalistic money-centric politics. Studies identify at least three fundamental roles for political parties: (1) as vehicles to mobilize support for elections; (2) as a political pillar encapsulating regularized patterns, such as programmatic political contestation rather than personalistic politics or candidate-centered politics; and (3) undergird executive-legislature relations that frame political performance. Do political parties perform as vehicles to mobilize support for elections in the Philippines? On the one hand, thus far, presidential candidates have continued to run under party labels; on the other hand, it is debatable if this represents a rallying under political parties or if political parties are rallying around strong candidates. Thus, for instance, the 2013 elections for the senate are not necessarily indicative of political party performance as much as Team Pnoy’s success. Are political parties in the Philippines encapsulating regularized patterns? The answer to this is less ambiguous than the previous: studies show that political trust remains low in the Philippines, and the electorate remains sceptical of political institutions and representatives of Congress, Senate, and political parties. Do political parties undergird executive-legislature relations that frame political performance? As the PDP-Laban and UNA situation indicate, and the rebuilding of the Liberal Party under President Aquino III suggest, political parties are still working out their coalescence. While this process is underway, executive-legislative relations continue to ride on personalistic relations. This means that successful policymaking generally carries high transaction costs. Clearly, political party institutionalization in the Philippines will benefit the country in the immediate term and the long run. 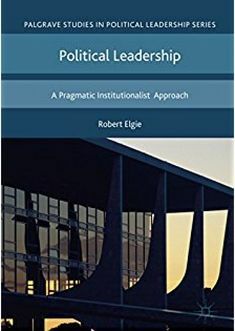 There is reason for hope: as executives and legislators become increasingly cognizant of the significant political and social costs in running personalistic campaigns and as the anticorruption efforts deepen, the trends will converge towards greater institutionalization. This entry was posted in Asia, The Philippines and tagged Asia, executive-legislature relations, mobilize, Personalistic politics, Political Parties, political trust, programmatic, the Philippines on March 24, 2014 by Fiona Yap.